Photographs are one of the most important types of evidence in any accident case. They can capture the reality of an accident, including injuries and vehicle damage, better than any description can. If you or a family member have been involved in a car accident, these 5 types of photographs will strengthen your case. If possible, take a few pictures of the accident before the vehicles are moved off the road. Seeing how the vehicles are positioned directly after the collision plays a critical role in determining fault. Take photographs of your entire car, from front to back. 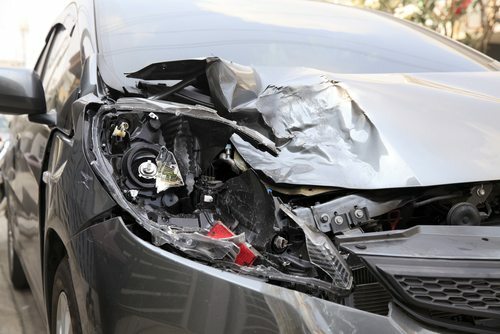 These photographs will give insurance adjusters, attorneys, jurors, and judges an idea of the total amount of damage that was done to your vehicle in the accident. In addition to whole-car photographs, you’ll also want to secure detailed pictures of the damage. Take a photo of every dent, scratch, and point of damage on your vehicle. This will help assess the value of each repair that will need to be made, or if your car will be considered totaled. Another important set of photographs that you need to take are of injuries right after your accident. Whether you go to the hospital or not, it’s important to get photographs of your injuries as soon as possible after they occur. This will provide an idea of how severe the injuries were right out of the gate. You’ll want to continue taking photographs of your injuries at each stage of healing. This will help provide an estimate of how long it took your injuries to heal, and whether you will have permanent scarring or disfiguration as a result of the injuries. The best time to contact an accident attorney is immediately after the crash. If you were severely injured, you may not have the ability to secure all of these photos on your own, and your attorney can help you. Your attorney can also help guide you through the process of filing a personal injury claim, which can help provide you with the compensation you deserve for damage to your vehicle, lost wages, and medical expenses that resulted from the accident. Contact the Slonaker Law Firm today for a consultation at (352) 629-6656.